After a life-changing summer and a tumultuous few weeks back at school I’m back on the blogosphere! It took far too long but it seems like I’m finally settled in and into the swing of a new year. Only a few short weeks ago I moved back into a new room, which is always a tiring process. I like to make every new place I live feel a little different so that each year feels that it has its own character and distinction. 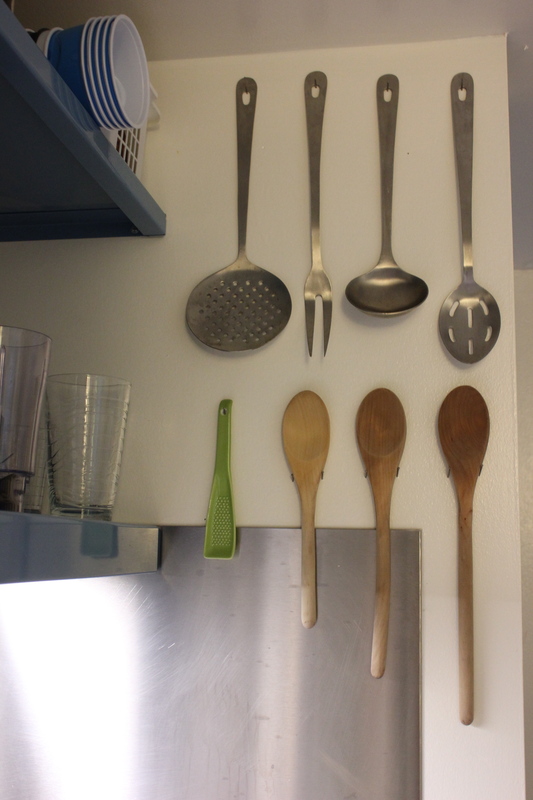 This year was no different and as a result I decided to mix up my kitchen a little bit. 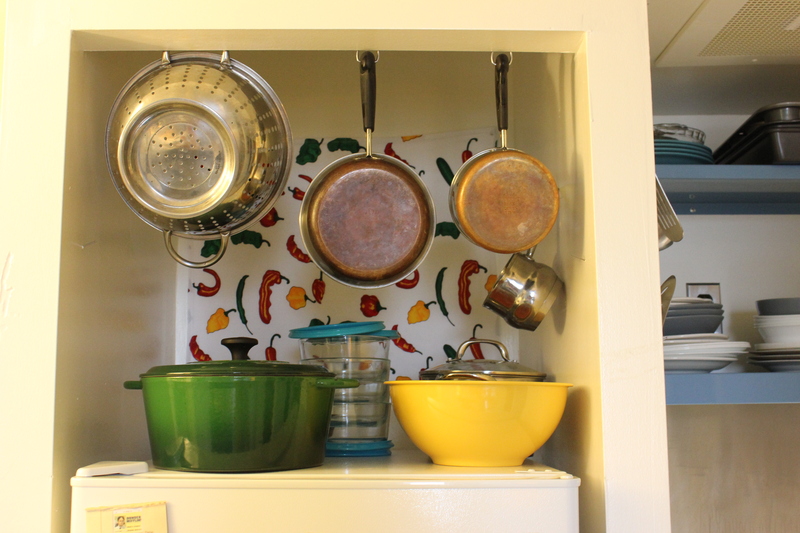 Because I am the child of an organizing genius, I was advised to hang everything out in the open and now my little Toy Kitchen is looking incredibly Julia Child inspired these days. So now that the kitchen is ready to go again I’m back to cooking. 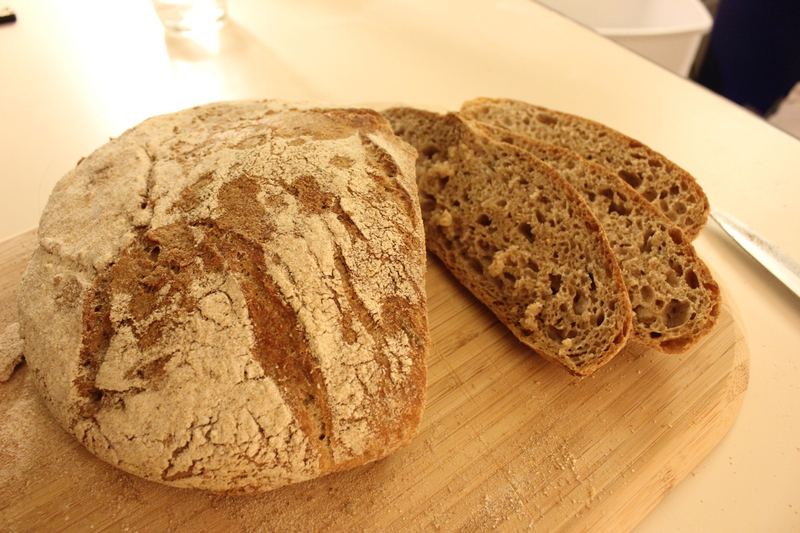 To me, the one thing that really makes a place feel like home is baking a fresh loaf of bread and the warm, delicious smell that the house is filled with while the bread rises in the oven. 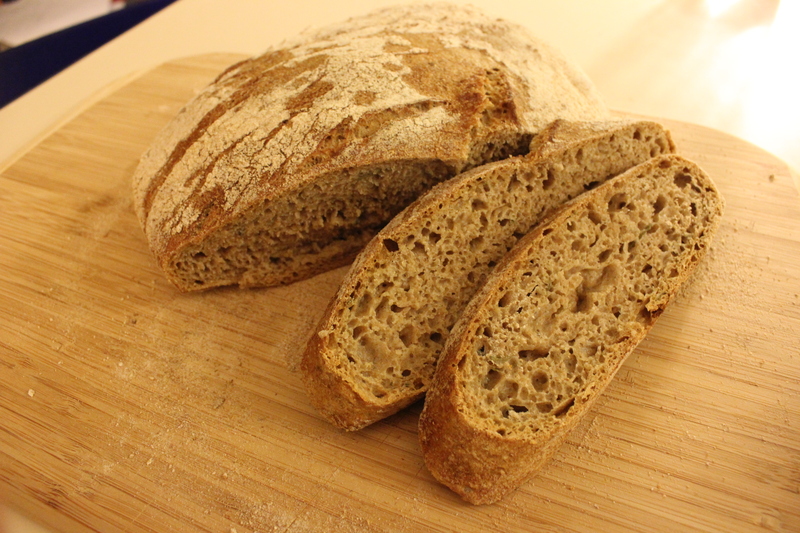 Last year I discovered this famous recipe for No Knead Bread, and while I know it was on the Times almost 7 years ago and I’m a little late to the party, it is still amazing. 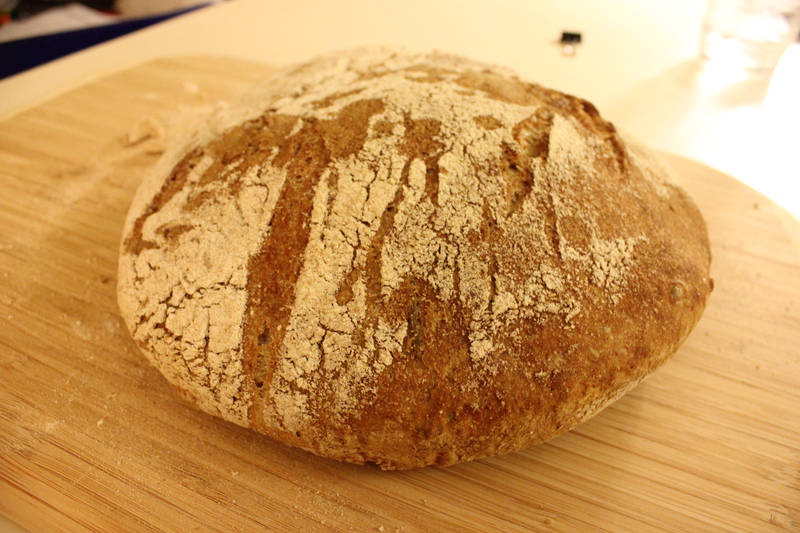 I made a few alterations, like using mostly whole wheat flour and adding fresh rosemary but the results are ultimately the same. When I eat this bread it reminds me (in terms of taste) of the bread we eat in Turkey, but then I realized that’s because it is actual real bread – just flour, salt, water and yeast. Bread is one more thing that I won’t be buying at the grocery store anymore. Besides, this recipe is so easy and requires so little effort that I can do it every week in a Toy Kitchen, which in my mind is what makes a perfect recipe. I added 1 tbsp fresh rosemary (I have a plant, more on that next time). I have also heard of people adding all kinds of things, like feta cheese and sun-dried tomatoes or chocolate and cranberries. Experiment as you see fit. 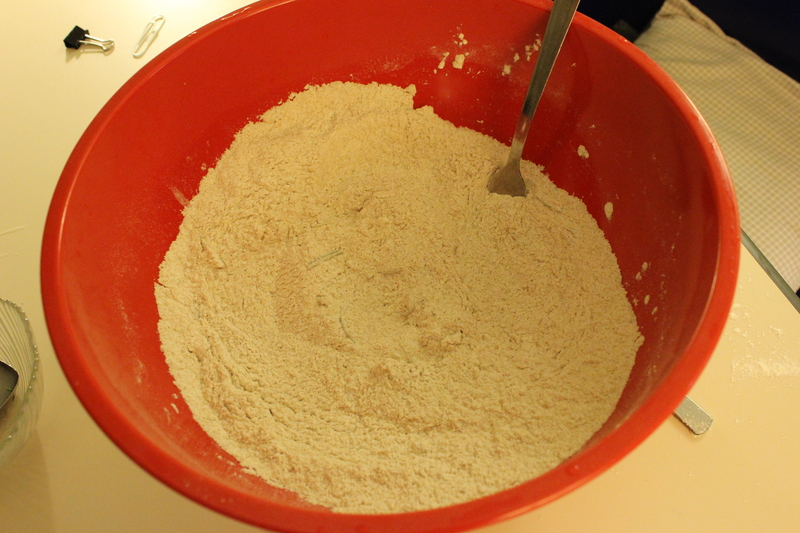 Add all the dry ingredients in a large bowl and mix. 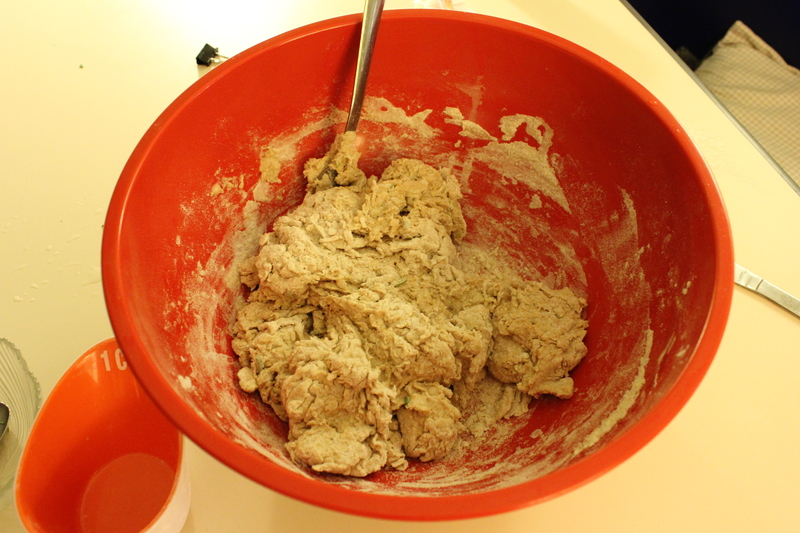 Add the water and mix with a spoon, you will get a loose, floppy dough. Cover with saranwrap and let sit for 12 to 18 hours. 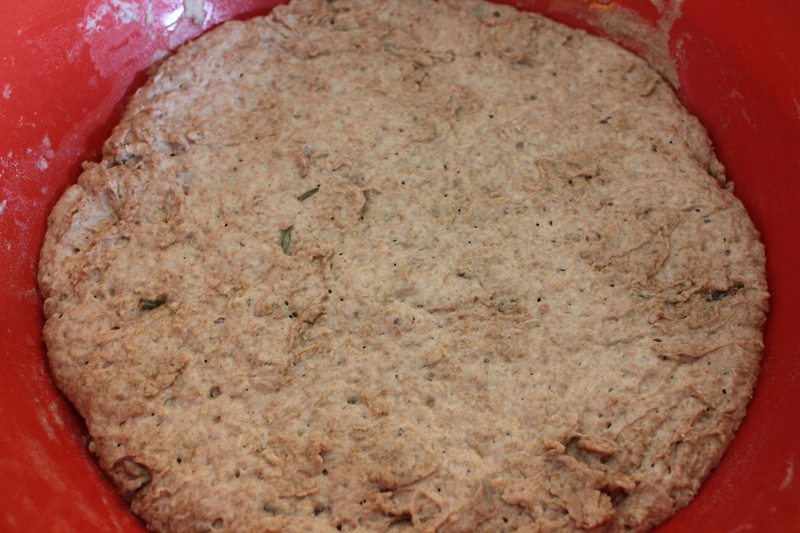 The dough will be ready when there are bubbles in the top and it has risen significantly. In the meantime, while you’re waiting get on with it and enjoy your life. 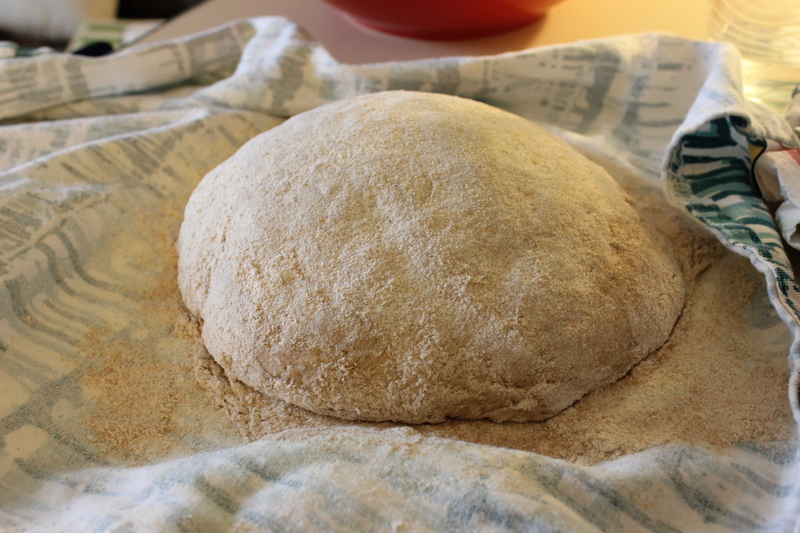 Once the dough is ready, cover a surface with flour (I usually use a cutting board) and gently place the dough on top. It will be quite wet still. Sprinkle with some flour and fold over itself once or twice. Cover and let sit for 15 minutes. Take a towel (cotton, not terry cloth) and cover well with flour. 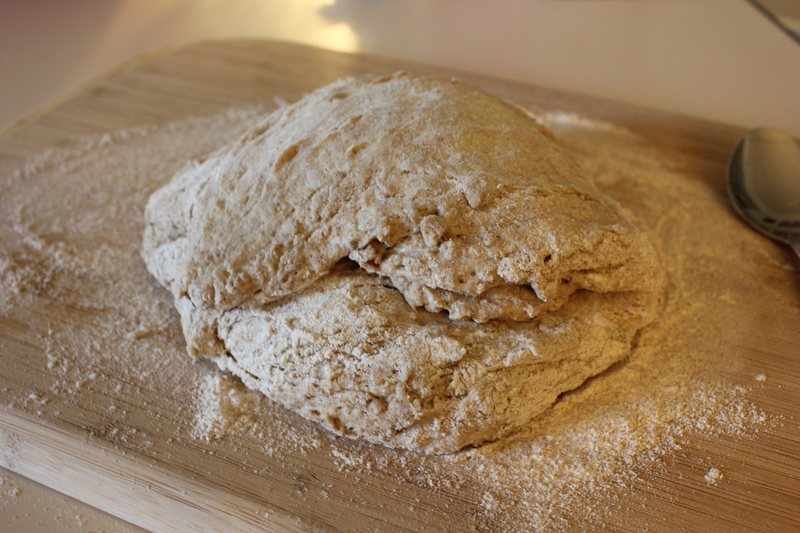 Pick up the dough, form gently into a ball and place onto the towel seam-side down. Sprinkle some more flour on to and cover with another towel. Let sit for 1.5-2 hours or until doubled in size. About 45 minutes before the dough is ready, place a cast iron pot into the oven and preheat at 450 degrees. Your pot will act like a mini-bread oven and help to keep the humidity in. 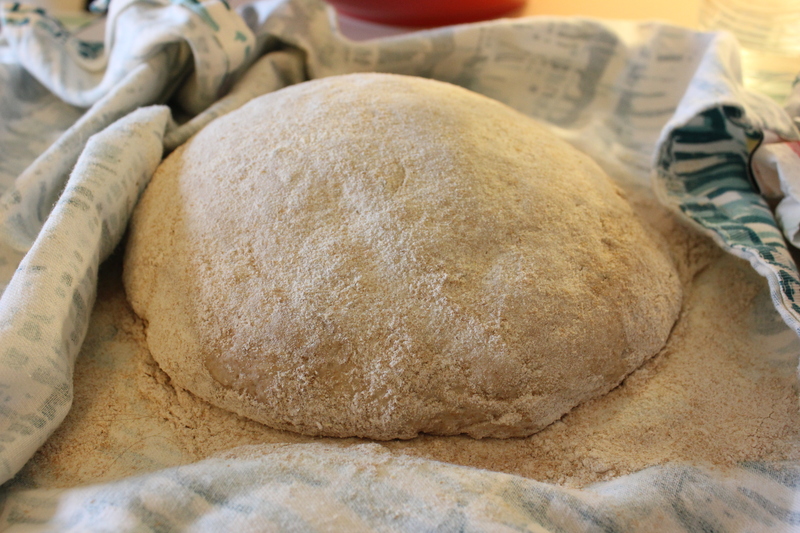 Once the pot is hot and dough is ready, carefully remove the pot from the oven and flip the dough over and in. 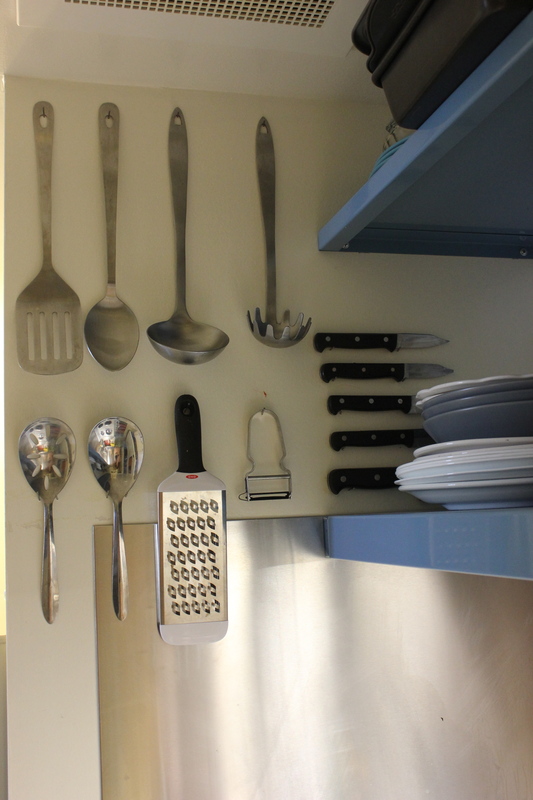 Dont worry if it looks uneven or a mess, it will straighten out. To get a softer crust, I like to gently mist the dough with a little bit of water, but this is certainly optional. Place the lid on the pot back on and put the pot into the oven for 30 minutes. 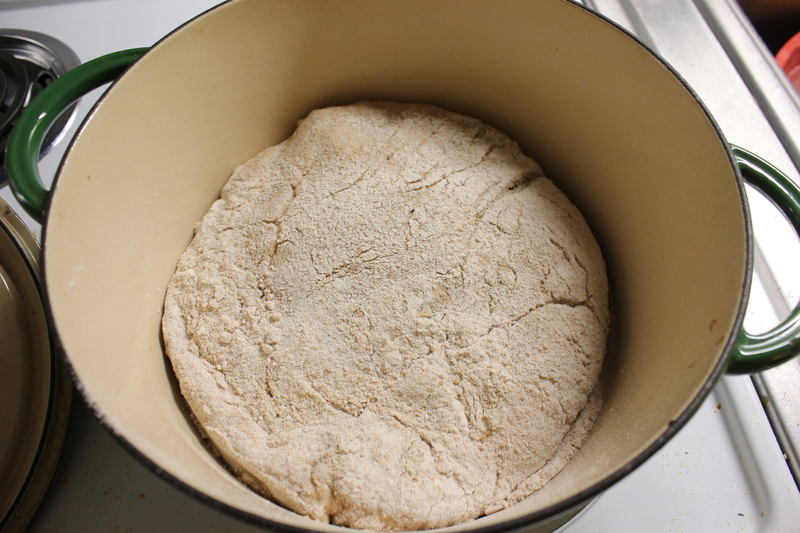 Then, carefully remove the lid and let cook for a remaining 15 minutes to let the crust fully form. Carefully remove it from the oven and let cool for 10-15 minutes before slicing and eating! Yummmm I got so excited for this until I remembered I don’t have an oven! But when I get back, hopefully I will have an oven and I want to make this with olive halves in it! 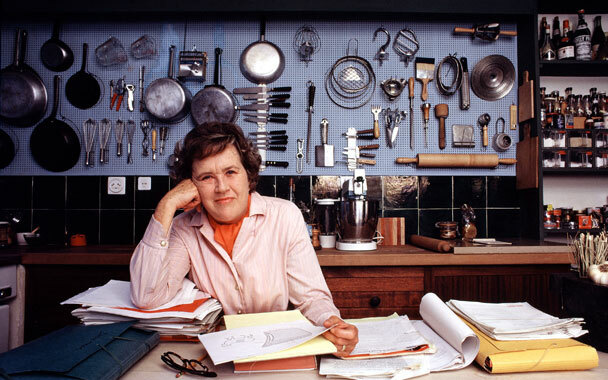 Look at you, Julia Child Jr! Question: would you use fresh or dried rosemary next time?